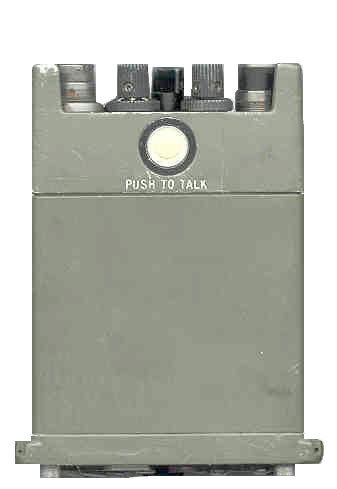 Before the PRC-68 there were handheld radios like the BC-611 and PRC-6 that required changing crystals and realignment to change frequency assignments. 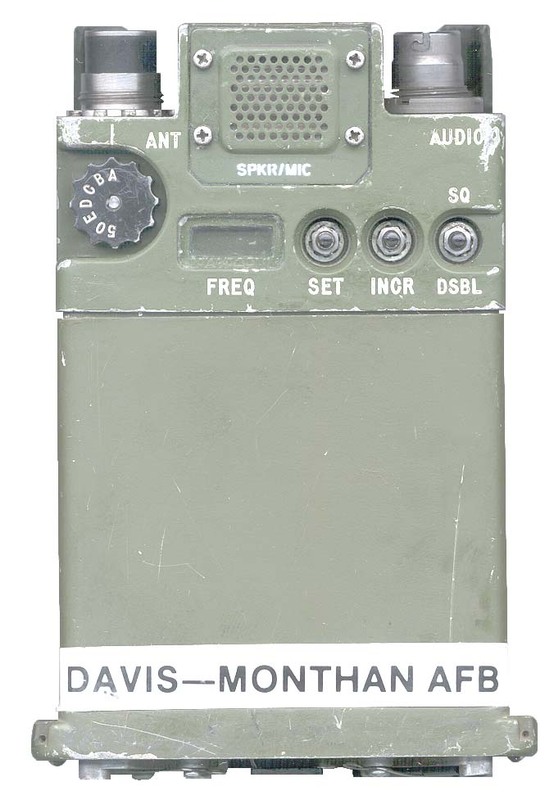 The PRC-25 and the PRC-77 man pack Squad radios use a modular construction method. 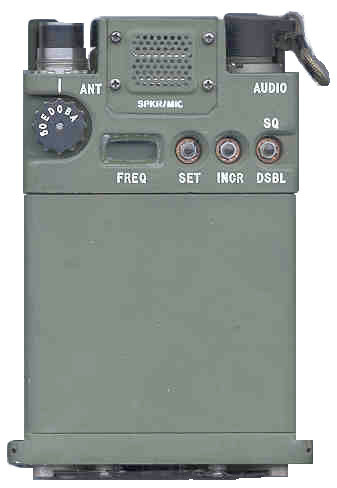 The PRC-68 uses a very similar modular construction methods and introduced the frequency synthesizer and micro controller to the handheld squad radio. Improvements to the PRC-68 added more features and capabilities. 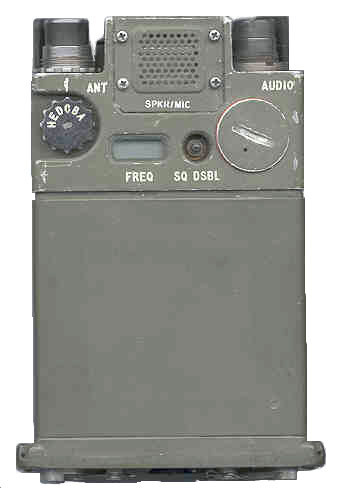 The PRC-68 series of Squad Radios evolved in the sequence: PRC-68, PRC-68A, PRC-68B, PRC-126, PRC-128 and PRC-136. 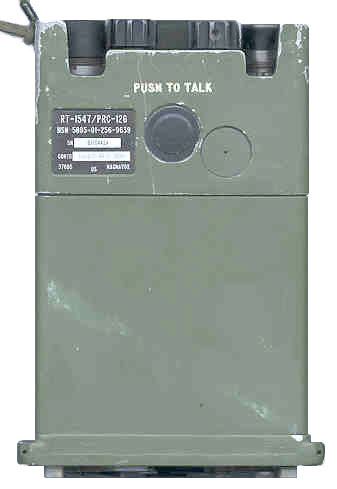 The PRC-136 is a Crash Fire Rescue USMC radio. If you have any PRC-136 literature of any kind please email me. It looks exactly like a PRC-126 or PRC-128 and operates in VHF high band only. 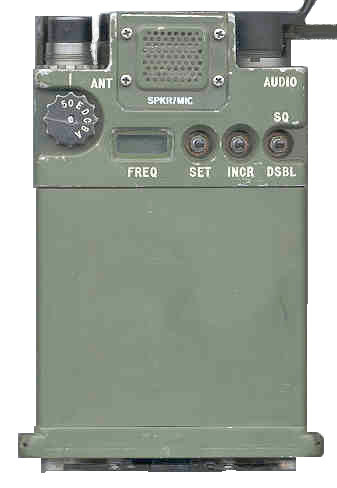 The seperate Army PRT-4 transmitter and PRR-9 receiver were not liked by the Marines, they wanted a single unit Squad Radio. For more on how these radios came about see the AN/PRC-68 Legacy by Alan D. Tasker, WA1NYR and PRC Data series by Dennis Starks. "History of the Squad Radio" ECOM, Nov 1976 available from W7FG. are intended to be used in front line military operations at the squad level, meaning they are very rugged. 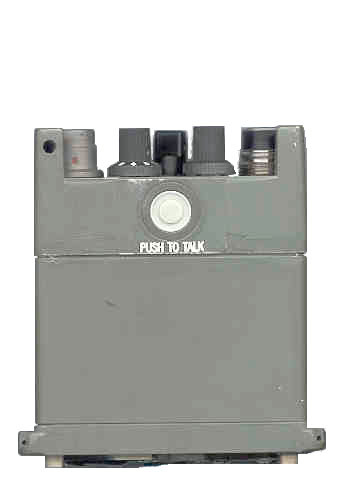 have a 6-32 threaded hole near the ANT connector that accepts the ground lead/handle of the TS-3951/PRM-34 test set. The key feature that all radios in the series have in common is the mechanical & electrical battery interface (Bottom of radio). The two slotted screws hold the module cover to the radio. The small screwdriver is stored in the radio and is used to change channel frequencies, adjust the low battery and/or squelch threshold depending on the radio model. The two snaps connect to the battery. Two of the four tapped holes in the corners are used for attaching the Secure Voice Module. On the left and right are the hooks that hold the battery clasps. The large philips head screw is a mystery. My 68BA Battery Adapter allows the use of commonly available AA or 9 Volt batteries to power all the radios in the family and other equipment that uses the same batteries. 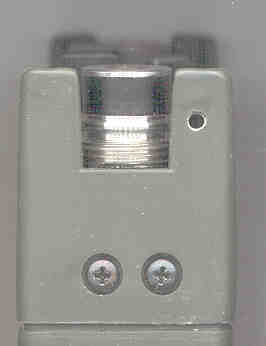 Another part of this interface is the 15 pin miniature "D" connector to allow the installation of a Secure Voice Module. All the radios in this series are compatible with the SVM not only in terms of the connector, but also in that they have the functions to support it. The antenna connectors are all very similar, but not identical. They all support the use of the same 914598-801 adapter to BNC for use with external 50 Ohm impedance antennas or for test purposes. Dennis Starks 4 part article on Shortnend Antennas for Portables. Note that the 7" rubber duck antenna was made to restrict the range of the radio. In general these radios operate above 30 MHz so that they can not be heard over long ranges. The operating range is a very strong function of the antenna used. My 68AA Antenna Adapter not only works with all the radios in the family it also has a built in DC return so the the radios that sense the DC conditions at the antenna connector will be happy using a DC open atnenna like a Ham stick or other whip. They all can be used with standard military U-229 audio accessories. From the PRC-68B onward they utilize the 6 pin version of the U-229 with the added pin used for things like cloning and repeater/retransmission functions. The radios have a panel that's the casting with all the controls and SPKR/MIC. The Frame is the part that holds the modules. The module cover slips over the frame and modules. The PRC-68 and PRC-68A have an identical panel. 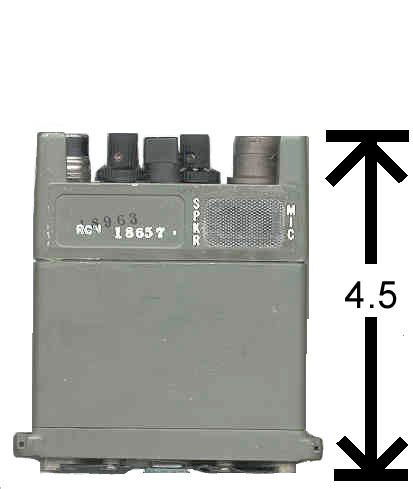 The frame on the PRC-68A and all newer radios is the same length and takes a module cover that's about 3.5" high. 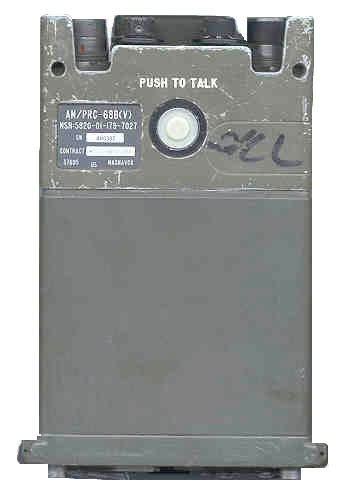 The PRC-68 module cover is about 2.5" high. 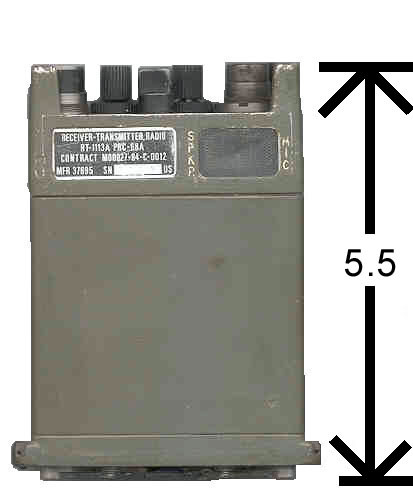 The Panel height of the PRC-68B and newer radios is the same, but the PRC-68B is the only one with a cover over some of the programming switches. From the PRC-126 on, all the Frame & Panel assemblies have the same 816173-821part number. 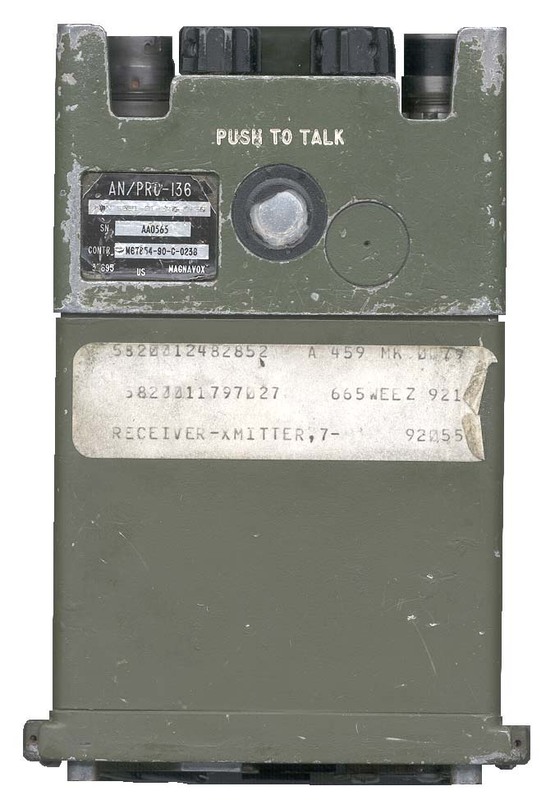 By reading the title and change blocks on Magnavox, Fort Wayne drawings the following people were involved in the PRC-68 seires of squad radios. If you are one of these or know one please email. It is not easy to read the names on a multi genertion copy so I have put a "?" mark on those that were not clear. This 15" rubber duck (helical) antenna fits the 5/16" X 24 threads used on most of the Squad Radios, but I don't see any reference to it. Photo (I put the blue tape on to help stitch two images). If you know what this is email me . I have heard that this was a replacement antenna for either the gooseneck & tape or a longer range version of the short ducky. The PRC-68B, PRC-128 and PRC-136 have a 130 to 174 MHz capability, but there does not seem to be any test procedures or test equipment to support this frequency range. The use of commercial FM communications equipment must be assumed, but why the lack of test procedures? 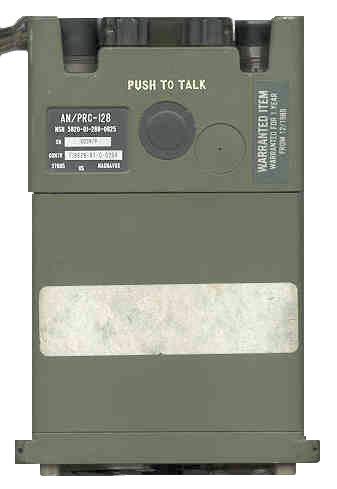 The PRC-6725 is a single band version of the PRC-139. I am looking for schematics for all of these radios. If you have them please contact me. This is the time this page has been accessed since 9 April. 2001.